Color/Appearance: Heartwood color can vary, ranging from a pale pinkish orange to a deep brownish red. Most pieces tend to start reddish orange when freshly cut, darkening substantially over time to a reddish/purplish brown. Padauk’s initial orange coloration can be preserved through various finishing procedures; see the article Preventing Color Changes in Exotic Woods for more information. Grain/Texture: Grain is usually interlocked, with a coarse texture and fairly large and open pores. Rot Resistance: Rated as very durable regrading decay resistance, with good resistance to termites and other insects. 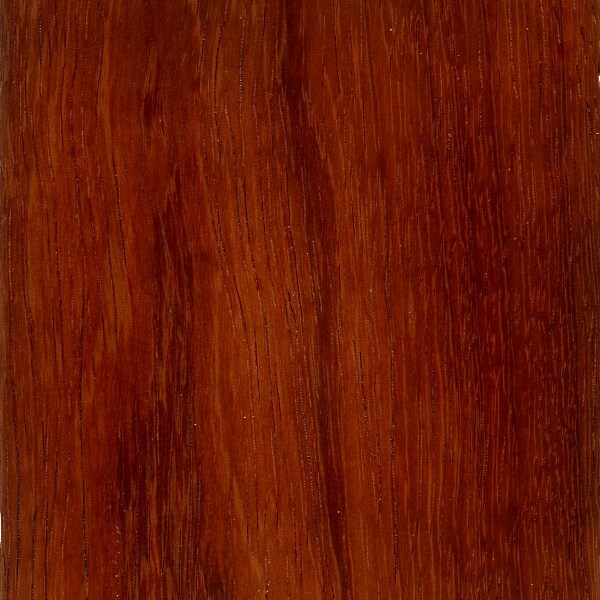 Workability: Overall Andaman Padauk is easy to work; tearout may occur during planing on quartersawn or interlocked grain. Andaman Padauk turns, glues, and finishes well. 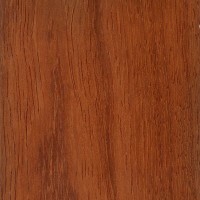 Odor: Andaman Padauk has a faint aromatic scent while being worked. Allergies/Toxicity: Although severe reactions are quite uncommon, Andaman Padauk has been reported as a sensitizer. Usually most common reactions simply include eye, skin, and respiratory irritation. See the articles Wood Allergies and Toxicity and Wood Dust Safety for more information. Pricing/Availability: Currently very seldom available, Andaman Padauk is likely to be in the mid to upper range for an imported hardwood. Sustainability: This wood species is not listed in the CITES Appendices, but is reported by the IUCN as being data deficient. Common Uses: Veneer, flooring, turned objects, musical instruments, furniture, tool handles, and other small specialty wood objects. 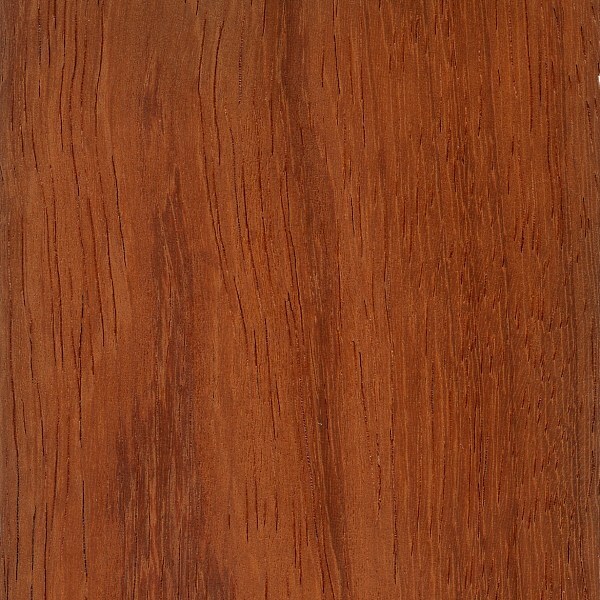 Comments: Historically, this species was one of the primary contributors of the reddish orange wood called “Vermillion”—much more commonly referred to as “Padauk” today. 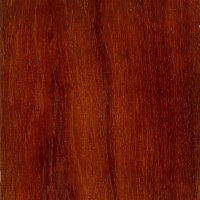 Currently African Padauk provides nearly all of the world’s supply of Padauk, with Andaman Padauk supplies being greatly depleted. Scans/Pictures: A special thanks to Steve Earis for providing the wood sample(veneer) of this wood species. the Padauks and Muninga are probably the most stable of all timbers when fully dry. The whole genus is very resistant to shrinkage, and thin wide boards made of Padauk can be left for years without moving. For this reason, when it was more freely available, Padauk was highly prized as a boat-building timber: Sir Alec Rose’s Lively Lady, which took him round the world, was made of it. It comes in all shades of dull orange, to bright orange to deep dark red. A fresh cut board,sanded and sealed can be very deep and bright. but as time goes by the color will become very dark to where it no longer looks anything like Padauk. Toxic too.